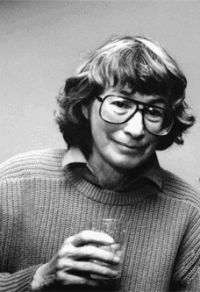 How the poetry of Mary Oliver broadens imagination for the daily work of ministry. Here are few ways Oliver’s poetry strengthens, encourages and broadens the perspectives and practices I bring to the work of leadership and ministry. Prayer as patching together. For all of us who have had moments of prayer panic, Oliver offers a simple approach in “Praying.” “Weeds,” “stones,” “vacant lots” -- each can be the starting point of prayer. What matters is paying attention and then patching together a few words. This becomes a doorway into gratitude. Preaching as paying attention. Oliver offers “Instructions for Living a Life” with a threefold call: “Pay attention. Be astonished. Tell about it.” Certainly this is the task of exegesis. Both for the biblical text and the congregational context, attention and astonishment are the starting point of education and transformation. Too often, sermons become wrapped and packaged without letting the listener into the process of challenge and revelation. Mary Oliver reminds us to invite others into the wonder and mystery of Scripture. Pastoral care beyond words. A line from “Wild Geese” often echoes in my ears: “Tell me your despair, and I will tell you mine.” A wrong rendering of the encouragement in these words would be to enter into self-reflection during a pastoral call. However, these words are helpful when our own despair, processed in a prayerful way on our own time, informs the way as pastors we respond to others in despair. We can ‘tell’ of our despair in ways far beyond words. With a touch, a prayer, an open ear or an offer of Scripture, our own despair informs and transforms. Oliver’s words create an opening to hear the deepest and the darkest, not in fear, but in faithfulness. Personal care as a deep breath. Too often, ministry is breathless. There is no “ahhh….” in our “Amens.” Oliver warns the pastor, “Are you breathing just a little, and calling it a life?” Her poems push us out the door to breathe, to praise, to live and to walk away from the harried craze that too often substitutes for deep living. Perspective amid problems. Those deep breaths are often difficult because of the myriad of problems at play in ministry: crises, budget, administration, personal needs, hospital calls, worship preparation. Any one of those is a wide-open field for perceived failure, the arenas that keep us up at night and frenzied in the daytime. “You want to cry aloud for your mistakes,” Oliver says, “But to tell the truth the world doesn't need any more of that sound.” How can our parishioners learn transformation if we can’t find that perspective for ourselves? Certainly there are mistakes, but there is always learning and abundant grace to accompany the missteps.